Design Experience That Matters: How Will Your Design Fare Over the Long Haul? 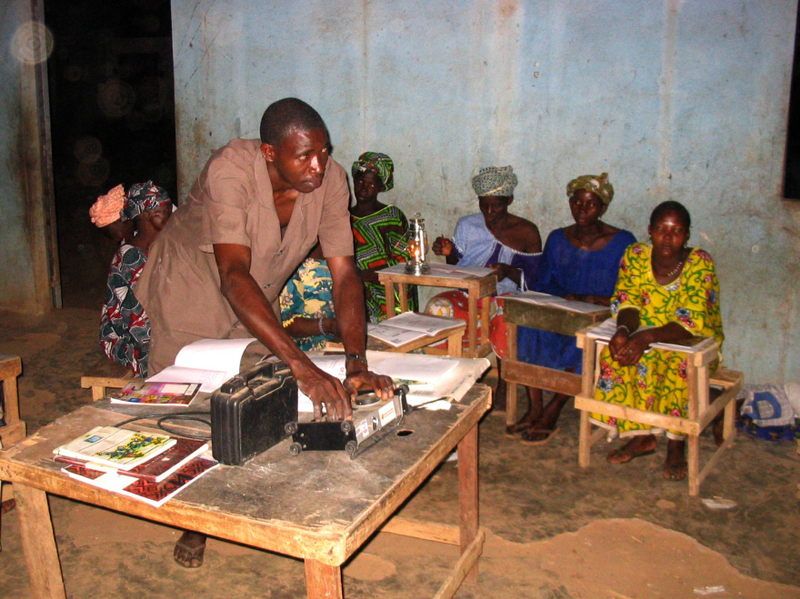 The Kinkajou Microfilm Projector is a teaching tool for nighttime adult literacy courses in rural communities without books or electric lighting. It was DtM's very first projected, started back when the company founders were still graduate students at MIT. It's been more than a decade since the Kinkajou pilot in rural Mali and what was once cutting edge appropriate technology is probably no longer the best tool for the job. What was the Kinkajou project, and how did it teach us that context-appropriate design is a moving target? 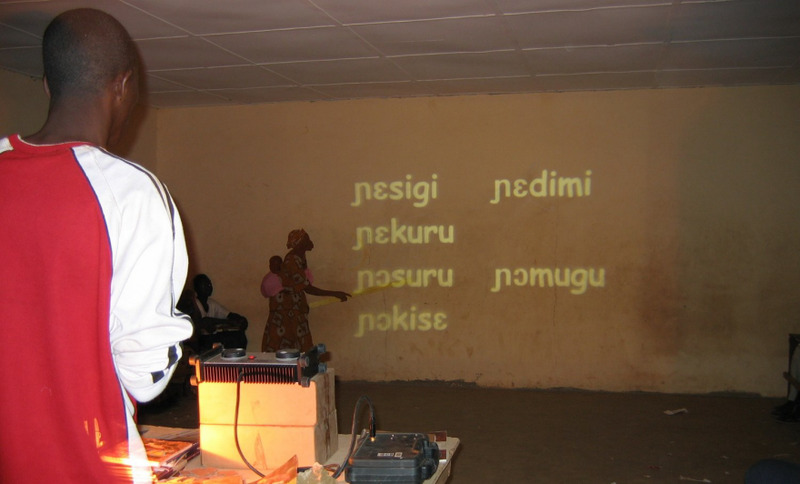 The Kinkajou projector in action in a rural Mali classroom, with a student at the board reading text off the projected image. One in five adults worldwide does not know how to read. In rural regions of West Africa, up to 75% of the population is illiterate. According to Barbara Garner of World Education, "It's the lack of resources"—specifically access to books and lighting—rather than a lack of interest in education that contributes to illiteracy rates. To solve this problem, DtM partnered with World Education, students from MIT and a team of professional volunteers to design the Kinkajou Microfilm Projector. Kinkajou was a rugged, lightweight, low-power projection system, which used a microfilm cassette to store up to 10,000 images at a fraction of the cost of paper books. The system also employed what was then state-of-the-art LED lighting and low-cost plastic optics adapted from "View Master" toys to project an image large enough for the entire classroom to read. The design required no tools more complicated than pocket change for maintenance, and included a battery, charge controller and solar panel for off-grid use. 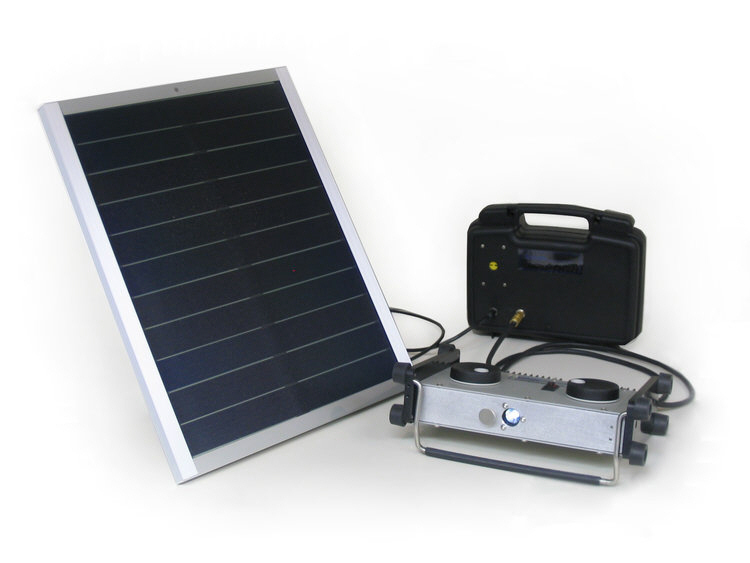 Kinkajou included solar panel, and a motorcycle battery and charge controller in a hard case. During the day, teachers would leave the solar panel and battery pack outside to charge. 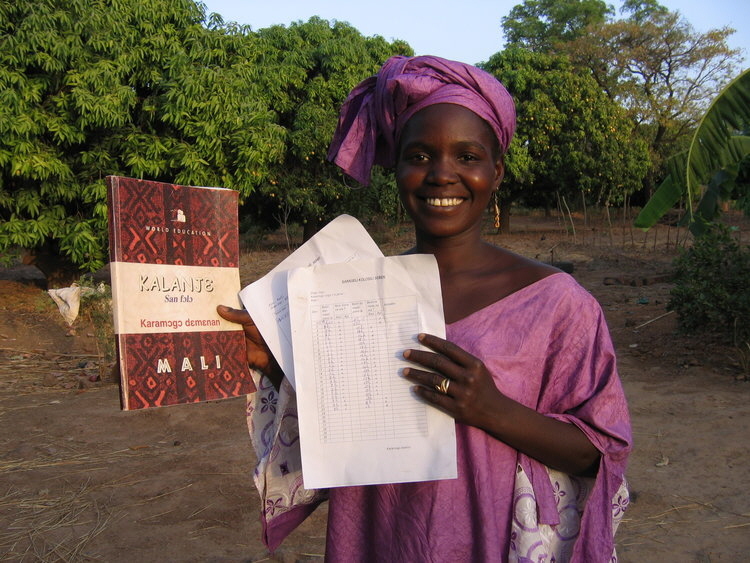 In 2004, with funding from USAID, World Education implemented Kinkajou Projectors in literacy centers in 45 Malian villages. They were an immediate hit. Turns out it's hard to photograph a projected image using a flash! The alternative: writing on a chalkboard. Note that all the light in the picture came from the camera flash; the classroom lighting came from the kerosene lantern on the table. To date, over 10,000 adults have learned to read using these projectors. The results of an independent, two-year pedagogical impact study showed that performance in Kinkajou nighttime classes far exceeded that of non-Kinkajou nighttime classes, and even exceeded the performance of World Education's daytime adult literacy classes. A site survey in 2015 found that many of the projectors were still in use. Adult literacy teacher with printed classroom materials. DtM's Kinkajou received worldwide attention and recognition, including the Tech Museum Award Laureate 2005, the INDEX: Award Top Nominee 2005, the Design News Award 2004, and the MIT IDEAS International Technology Award 2003. Kinkajou exhibitions included the Cooper Hewitt National Design Museum's 2007 "Design for the Other 90%" and the Boston Museum of Science. A teacher advances slides on the Kinkajou--again all the ligth came from the camera flash. Technology has come a long way since 2003. We developed Kinkajou because at the time, you simply couldn't buy a rugged, portable projector at any cost. All projectors at the time used fragile incandescent bulbs that cost as much as $400 each, and required bulky optics that made transportation difficult and expensive. This meant that our compact, LED-based lighting system and rugged plastic optics filled a niche for rural classrooms without electricity. Enough LEDS to make dozens of Kinkajou projectors! 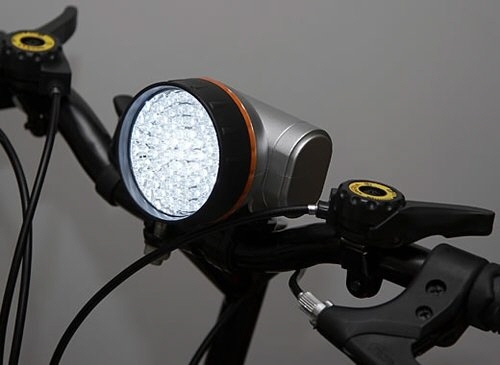 If you dig deep enough in your box of old bike lights and hiking headlamps, you'll discover the historical stratum where they all suddenly switched from incandescents, to compact halogen bulbs, to LEDs. In 2003 Kinkajou was built around what was the most cutting edge compact light source: the Luxeon "star" five-watt white LED. 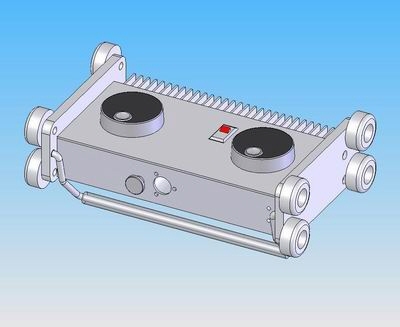 This component was so new and had found so few commercial applications that we had to develop our own custom optics and thermal management system. Now, high-intensity white LEDs are a dime a dozen (or will be soon). 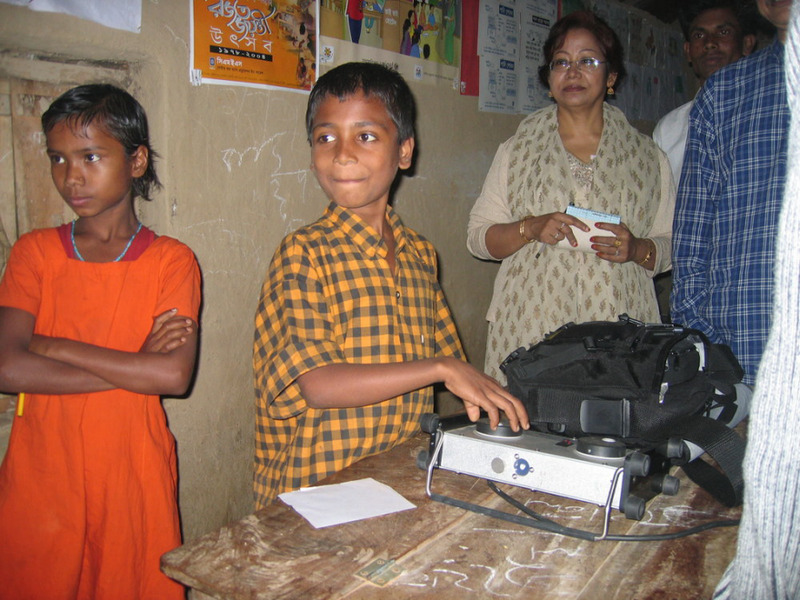 Kinkajou predated the launch of the One Laptop per Child project by three years. In 2003, it was rare to find a rural African community with internet service or even a cellular signal. There would be no way to deliver new content to a computer short of the "sneakernet"—physically transporting information on CDs (or floppy disks if you were a real freak). We were surprised when our product requirements indicated that high-density and durable microfilm was the most cost-effective solution to delivering educational content to rural villages. Today, most communities have access to a cell signal and the cost of smartphone has plummeted. In addition, a smartphone in a jelly case is a tough gadget, far more resistant to dust and bumps and cheaper to ship than a desktop computer or even a laptop. 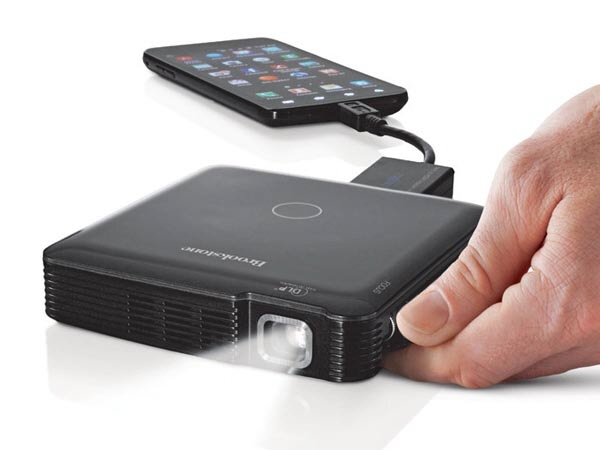 It is now possible to buy a high-quality LED-based portable pico projector for under US$300 (examples). You can pair these projectors with an inexpensive smartphone, tablet or Chromebook—all of which could be charged with an inexpensive solar panel. This new combination of a smartphone and a pico projector may not be a perfect solution to rural education, but it's better than any solution that was available at the time we developed Kinkajou. Consider the products you're designing today. How many of them are based on assumptions about current resources and technologies? 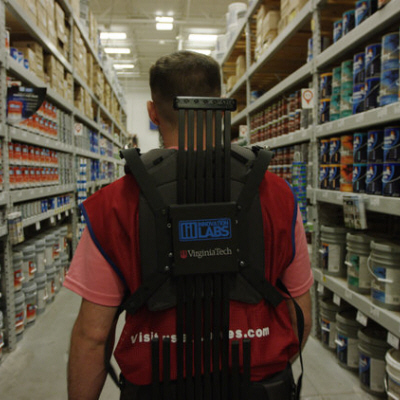 How might those technologies evolve over the projected lifespan of your project? The next time you read about some new gadget, ask yourself: what does this say about the project we're working on right now? Does this create a new threat or a new opportunity? This "Design Experience that Matters" series is provided courtesy of Timothy Prestero and the team at Design that Matters (DtM). As a nonprofit, DtM collaborates with leading social entrepreneurs and hundreds of volunteers to design new medical technologies for the poor in developing countries. DtM's Firefly infant phototherapy device is treating thousands of newborns in 21 counties from Afghanistan to Zimbabwe. 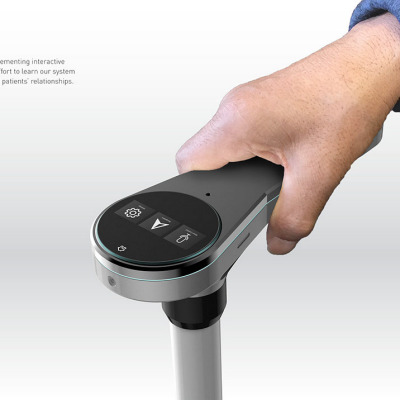 In 2012, DtM was named the winner of the National Design Award. Timothy Prestero is the founder and CEO of Design that Matters (DtM), an American 501c3 nonprofit. DtM collaborates with leading social entrepreneurs and hundreds of volunteers to design new products and services for the poor in developing countries. A former Peace Corps volunteer and an MIT graduate, Tim has worked in two dozen countries in Africa, Asia and Latin America. He is a Martin Fellow at MIT, an Ashoka Affiliate and a Draper Richards Kaplan Fellow. DtM's NeoNurture Infant Incubator was named #1 of the "50 Best Inventions of 2010" by TIME Magazine. 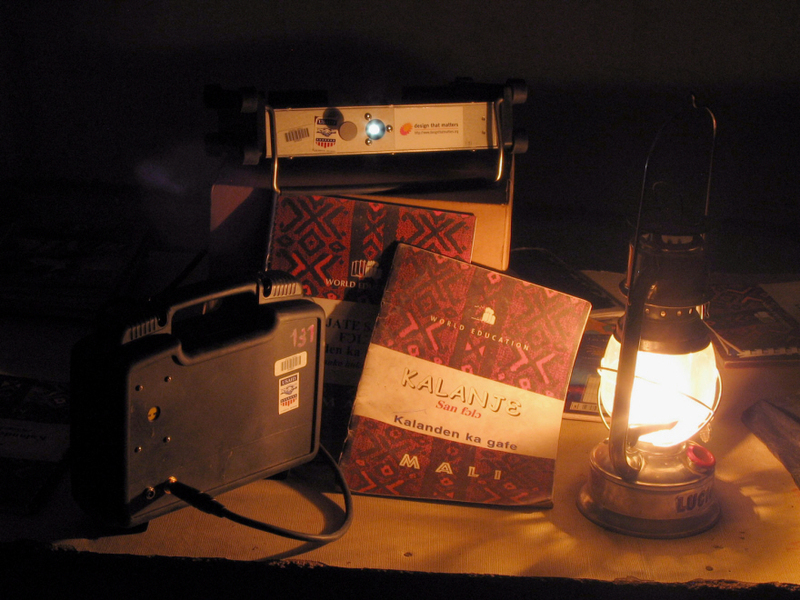 DtM's Kinkajou Microfilm Projector has allowed thousands of adults in Mali to achieve literacy. DtM's Firefly infant phototherapy device is treating thousands of newborns in twenty counties, including Vietnam, Myanmar, Ghana and Haiti. In 2012, DtM was named the winner of the National Design Award in Corporate and Institutional Achievement. Tim lives in Marblehead, Massachusetts with his wife and two sons. 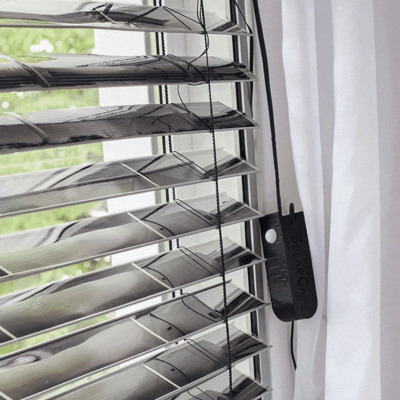 Finally, a design approach you can't afford to ignore.